Elderberry is found growing wild in Europe from Scandinavia to South upto North Africa and in east upto West Asia. It probably originated in one of these regions. It grows in a variety of conditions including both wet and dry fertile soils, primarily in sunny locations. It has now travelled to many parts of the world and is occasionally cultivated for its fruits and is also planted in home gardens as an ornamental plant. 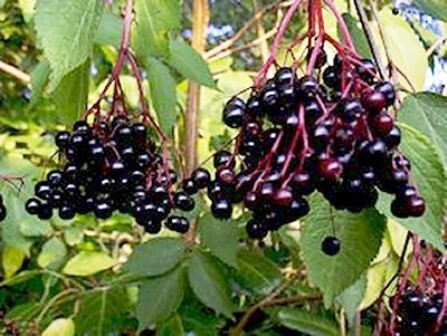 Elderberry has also been used medically since ages for treating a large number of ailments. All said and done, it is very good to have a couple of elderberry plants ion the garden. A deciduous shrub or small tree growing to 4–6 m (rarely to 10 m): leaves arranged in opposite pairs, 10–30 cm long, pinnate with five to seven (rarely nine) leaflets which are 5–12 cm long and 3–5 cm broad, with a serrated margin. Flowers hermaphrodite, borne in large corymbs 10–25 cm diameter in mid summer; individual flowers white, 5–6 mm wide, with five petals; pollination by flies. Fruit a dark purple to black berry, 6.7 mm long and 6.3 mm in diameter, each weighing 138 mg on an average and measuring 0.138 ml in volume. These are produced in drooping clusters. These have an attractive appearance and a tolerable taste. The berries are an important food for many fruit-eating birds, notably blackcaps. Flowering is in summer and the fruits ripen in late autumn. Fruits are edible and are eaten raw as well as cooked. Many people, however, dfo not find the flavour of raw fruit very pleasant. The fruits make delicious jams, preserves, pies and so forth. The fruits can also be dried. The dried fruits taste less bitter. The fruit is used to add flavour and colour to preserves, jams, pies, sauces, chutneys etc, it is also often used to make wine. In Hungary, they make a brandy out of elderberry fruits. Moisture, 85.5 %, extractable juice, 64.7 ml; total soluble solids, 12,2 %; acids, 1.55 %; sugars, 4.54 g; tannins, 223 mg and pectin, 423 mg. The flowers are also eaten fresh. .The flowers are crisp and somewhat juicy, they have an aromatic smell and flavour and are delicious raw as a refreshing snack on a summers day. The flowers are used to add a muscatel flavour to stewed fruits, jellies and jams (especially gooseberry jam). They are often used to make a sparkling wine. A sweet tea or herbal tree is made from the dried flowers. This tea is believed to be a good remedy for fevers. 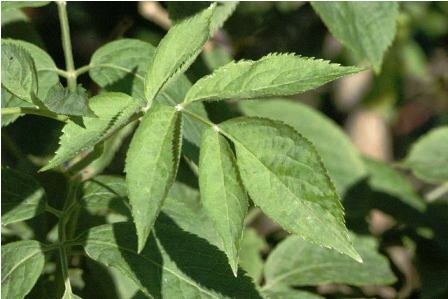 The leaves are used to impart a green colouring to oils and fats. 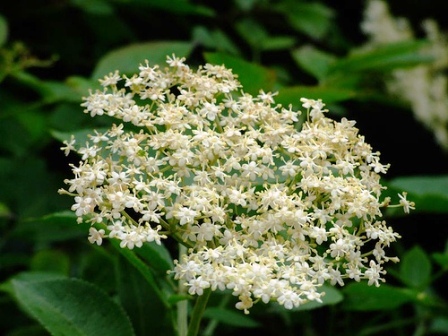 Elderberry, however, has been cited as a poisonous plant in literature on ethnic medicine. All other parts except the fruit and flowers are said to be poisonous for mammals. 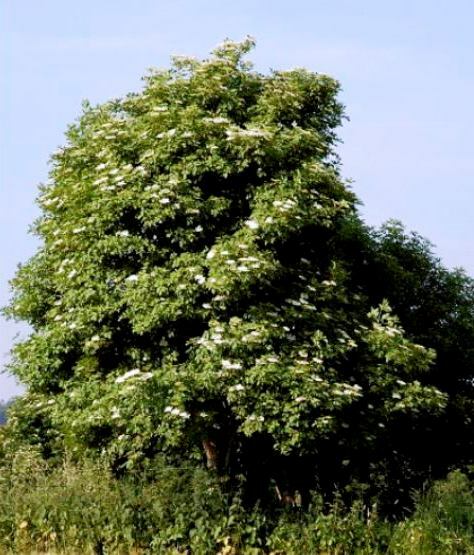 Elderberry plant can grow in nearly all kind of soils provided adequate moisture is there. It can grow in semi-shade (light woodland) or no shade. New plants of elderberry are mostly raised from seed. As there are some varieties too, so plants of these named varieties are raised from cuttings. New plants can also be obtained from root suckers.